If you think that you have everything, then you need to think again. The design of this stylish bracelet is certainly out of the ordinary. 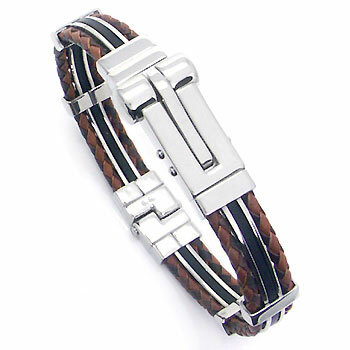 The combination of three different materials of stainless steel, rubber and leather, blends together creating a bracelet that would look fantastic on you.